Note that I read this book as a ARC and the author is published by my publisher. 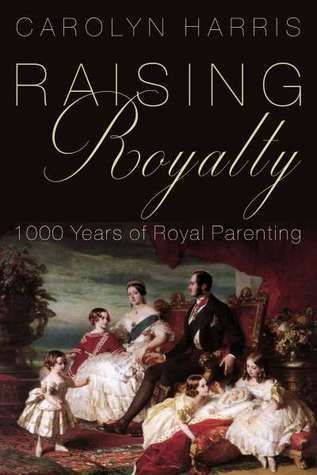 Raising Royalty is a comprehensive study of how British Kings and Queens have raised their children. Twenty families with their widely varying parenting approaches from Anglo-Saxon times to the present are studied. While the book is a thoroughly researched subject by a scholar, it is a joy to read. It provides a clear picture of how parenting in the rarified atmosphere of castles and palaces has evolved and, perhaps more importantly, why. Boys were brought up to fight and rule, and girls for dynastic/political marriages. Princes and princesses had no choice one thousand years ago and, one also sympathizes, today their futures are still fixed in stone but with a little more leeway. Carolyn Harris, the author, has done an excellent job of writing this book for general readership and it will open eyes with the detail and surprises. Recommended for history buffs and royal watchers. Sign into Goodreads to see if any of your friends have read Raising Royalty.